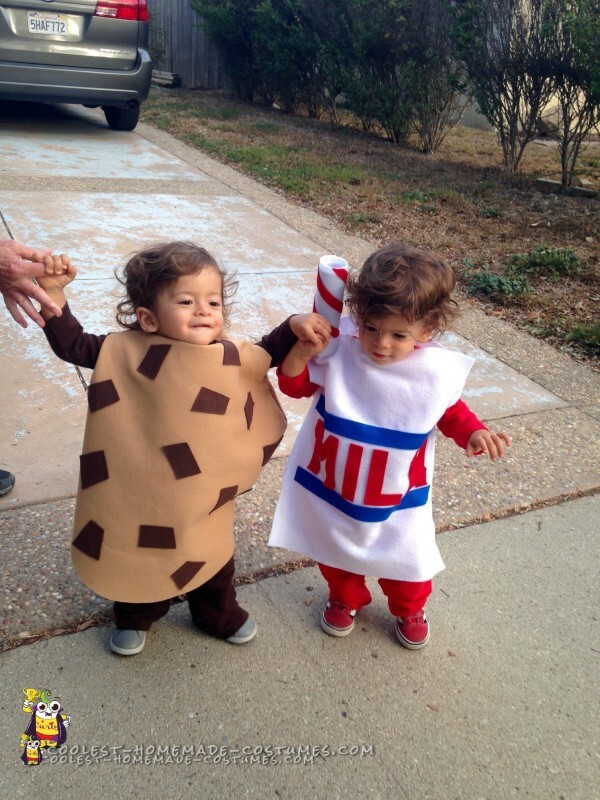 Here’s how I came up with these cookies and milk costumes for twins. When I was coming up with ideas for my one-year-old boys, I wanted something that was meant for twins. I am a pastry chef so my first idea was for milk and cookies, what goes better together! I’m not that much of a seamstress and I was trying to work on the budget. I made both costumes from mostly felt and hot glue, the box of milk also included a paper towel roll for the straw, and the card stock for the nutritional facts. I was a little nervous about how they would hold together, but they worked perfect! 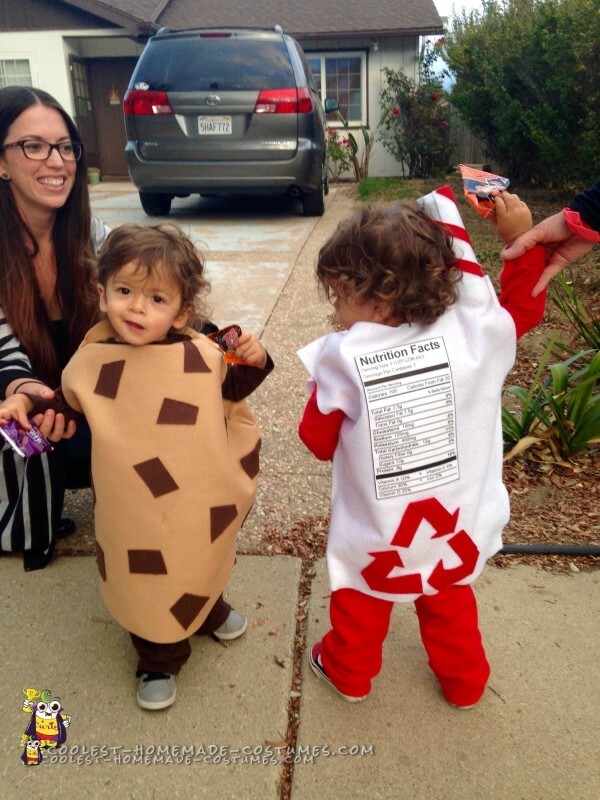 Remy is the chocolate chip cookie and Royal is the box of milk. 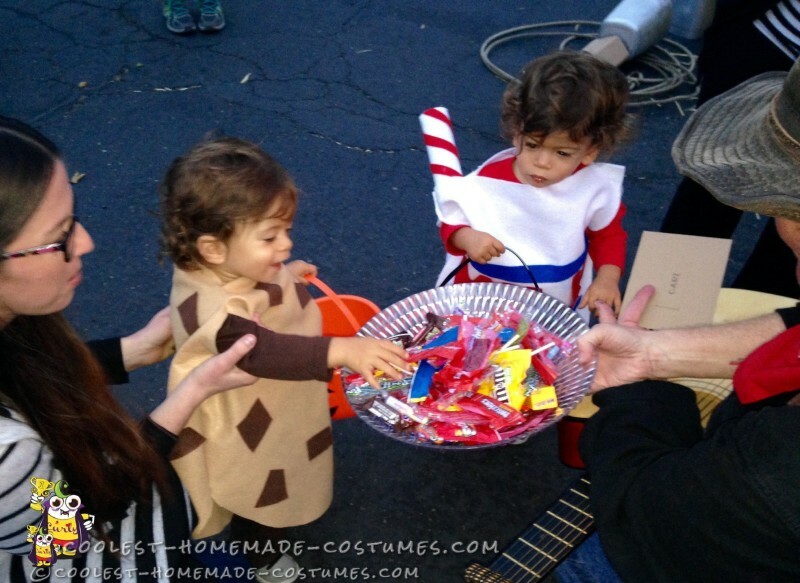 Everybody loved their costumes, and said how cute they were, which I definitely agree with! The only thing that didn’t work out was the weather, it rained a lot in our town so our churches annual harvest party was cancelled, contest and all, so sad! We still got to visit our neighbors before it started down pouring, it was my boys real Halloween, they were so excited to be able to pick out candy. They seem to get the hang of it pretty fast! 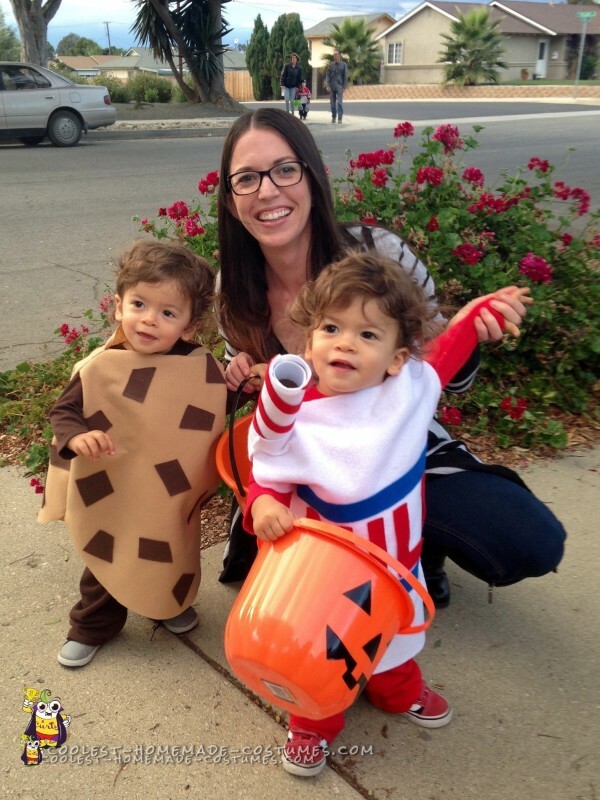 I was so happy with the way these costumes for twins turned out, my boys couldn’t have been any cuter! Amazing Drivable Homemade R2D2 Costume!